”On or about December 1910 human character changed,” Virginia Woolf observed. If this was true of 1910 then it was certainly true too of 1960 and in particular of South Africa’s character. Before that year apartheid was drifting towards something irregular, it was not entirely settled, and perhaps there was a morality that was recoverable. After the events of that year, however, there was no turning back. Before 1960 the sign of the defiance campaign was a thumb held upwards, after 1960 this expression of solidarity would turn in on itself to become the fist of the struggle. Penny Siopis’s video installation, which was shown a few months ago at the Stevenson Gallery in Cape Town (as part of the group show Trade Routes over Time), is an attempt to explicate something of the psychology of that year. 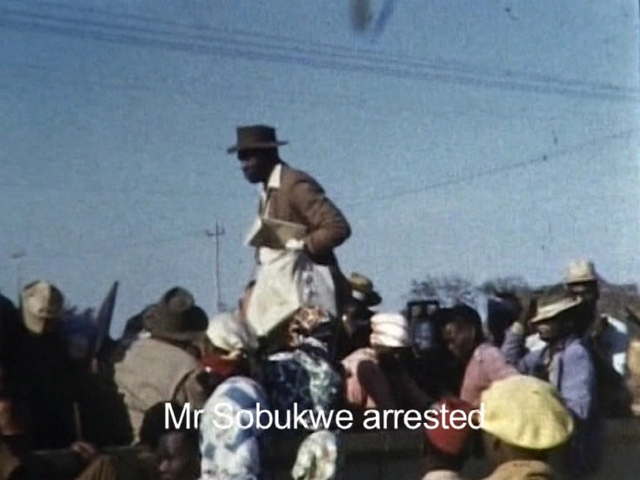 A year that saw the arrest of Robert Sobukwe and the PAC’s defiance campaign which resulted in Sharpeville and the 30 000 man march into Cape Town. It also, significantly, marked perhaps one of the last active white liberal interventions into South African politics; that is to say the attempted assassination of Verwoerd by David Pratt. In The Master is Drowning Siopis has created a montage out of found film footage into a ‘documentation’ of the concerned and disturbed thoughts of the would be assassin Pratt. 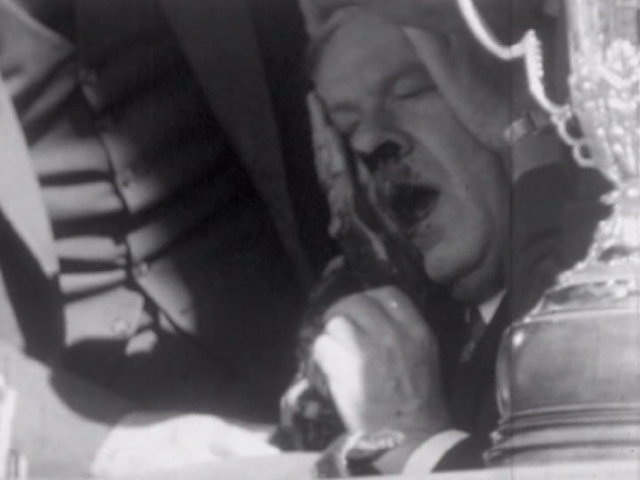 The video takes us through Pratt’s year leading up to the point he placed the 0.22 pistol up against Verwoerd’s head. Siopis creates this through film clips, subtitles (phrases largely taken from Pratt’s trial) and a splicing of musical arrangements. Through the joining of these three mediums she manages to convey a simulacrum of Pratt’s emotions, and, by implication, those of the country’s (or at least the white liberal section of it). One feels that each subtitle has in a sense ‘created’ the image that it accompanies. Pratt’s epilepsy is attested to in both text and by figures rolling on beaches and writhing through the sea. 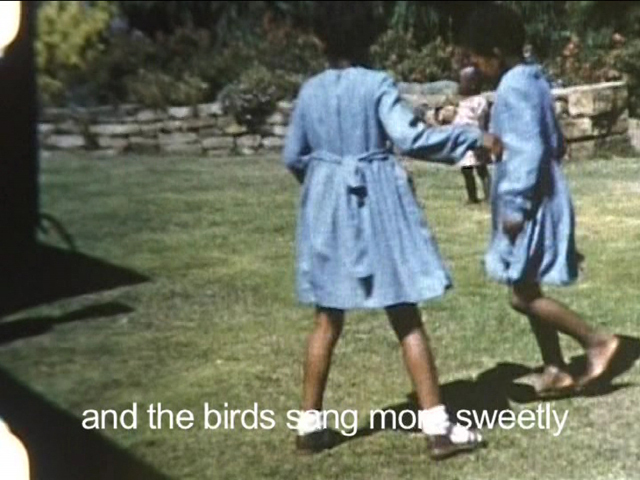 We reach his moments of calm in ‘the birds sang more sweetly’ which is set on a clip of school girls playing on the lawn. ‘How to give the message’ occurs with a baboon seemingly falling out of a tree. Here Siopis is not creating a direct inference with the text and image but rather is communicating with the artistic reversal of a Rorschach test – that is to say the text suggests the image but does not define it. These are the moments where Siopis trusts her visual response to the phrase and that trust creates a powerful understanding of not only Pratt’s sense of self but also the country’s. This is almost perfectly evoked when Siopis allows the imagery to play for a while after the text has vanished. These are the video’s truly strong moments. However, there are times when the video becomes a little too prescriptive and didactic. This is where text and image are too directly representative of one another. 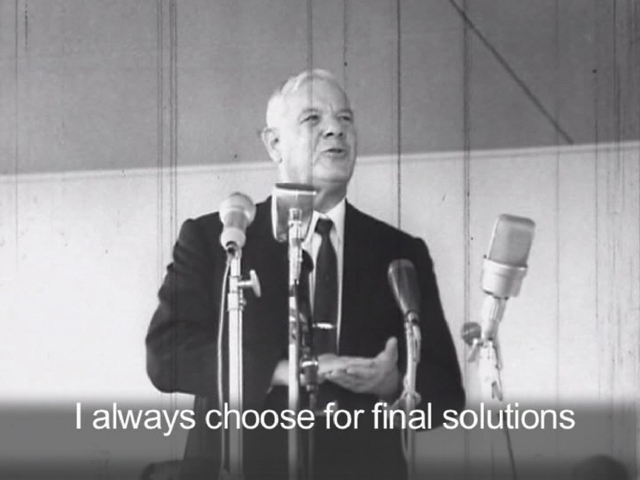 The clip of Verwoerd saying ‘I always choose for final solutions’, although an alarming and ironic piece of footage, is a little too overstated and obvious. The success of the The Master is Downing, one feels, relies on the nuances and intimations that exist between text and image, its weaknesses are its didactic documentation. However, these imperfect moments are at the very least interesting ones. You are currently reading Siopis documenting the Drowning of Verwoerd’s Pratt at The Falsifiability Principle.